Historical Marker #191 in Henderson County remembers Mary Towles Sasseen Wilson, a Henderson school teacher who is recognized as the first person to celebrate Mother's Day in 1887. Mary was born March 5, 1860, in Henderson, Kentucky. The oldest of four children, she had a strong bond with her mother, for whom she was named. A former student and neighbor recalled that Mary's love for her mother "burned to almost divine heights…She was all devotion to her mother." Sasseen began teaching at the Center Street School in Henderson when she was barely out of her teens. Described by former students and fellow teachers as "a fiery redhead," Mary did not conform to the traditional ways of teachers at the time. Sasseen's love for her own mother was the driving force behind her classroom's first observance of Mother's Day in 1887. She later published a pamphlet describing the special day, and set out across the country to promote her idea of a national holiday to celebrate mothers. In her quest, Sasseen shared her idea with a school system in Springfield, Ohio, which adopted the celebration in 1894. The idea was for April 20, her mother's birthday, to become the national observance day. In 1900, Sasseen quit teaching when she married and moved to Florida. She died six years later in 1906, never being a mother herself. Her cause was not lost, however, as Pennsylvanian Anna Jarvis continued pushing for a national Mother's Day. Finally, on May 8, 1914, President Woodrow Wilson signed a proclamation declaring the second Sunday in May as Mother's Day. Memoirs of Mother's Day: This pamphlet, published ca. 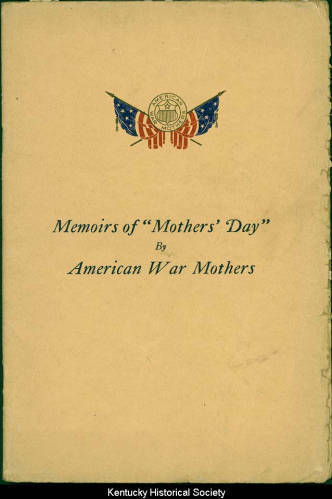 1927, was compiled by mothers of World War I veterans about Mother's Day. Courtesy of the Kentucky Historical Society. Mother's Day Card: Mother's Day is still celebrated today on the second Sunday in May. 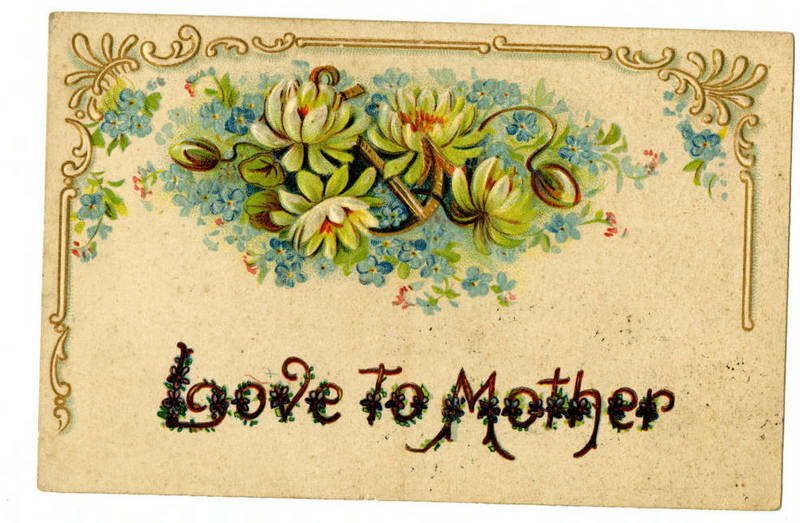 Cards, like this one, are traditionally given to honor mothers on this day. Courtesy of the Kentucky Historical Society. 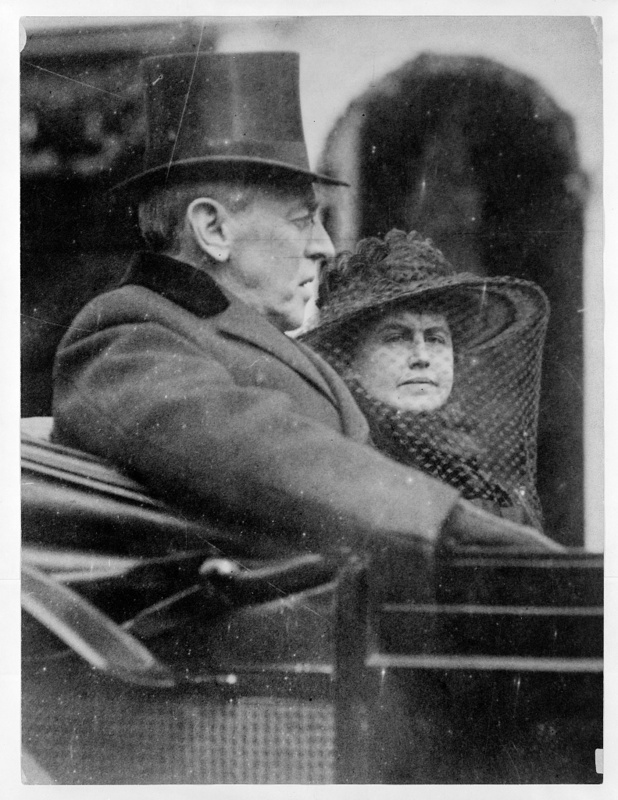 President Woodrow Wilson: President Woodrow Wilson is shown in this 1917 photograph with his wife on their way to his second inauguration. Wilson signed a proclamation in 1914, which made Mother's Day an offically recognized day. Courtesy of the Library of Congress. 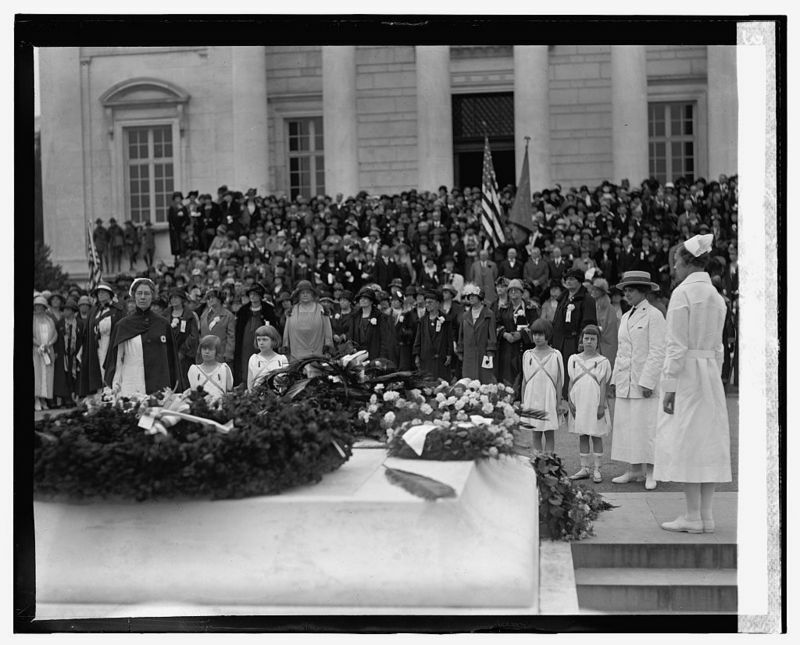 Mother's Day at Arlington: Mother's Day at Arlington National Cemetery is being observed in this 1925 photograph. Courtesy of the Library of Congress. McKenzie Martin, “Mother’s Day,” ExploreKYHistory, accessed April 19, 2019, https://explorekyhistory.ky.gov/items/show/387.